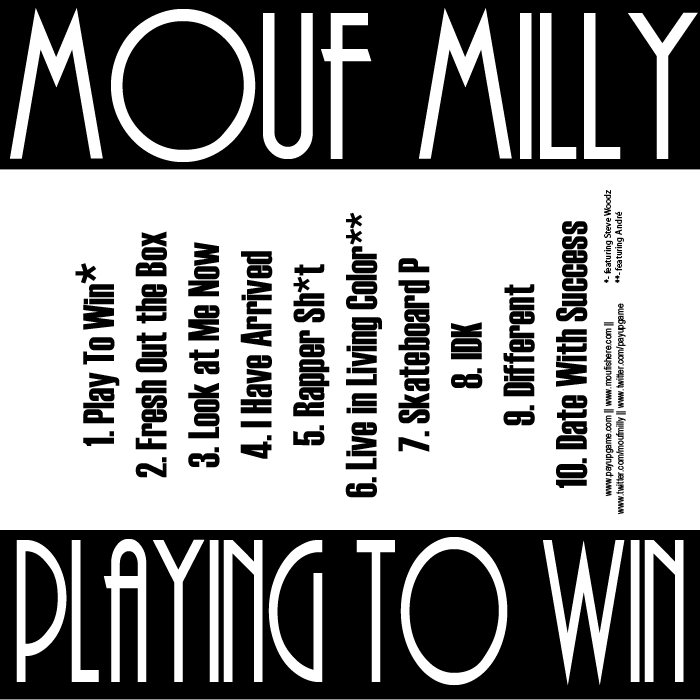 Music: Mouf Milly’s “Playing to Win” mixtape | this is the illiad! PayUp Game’s own Mouf Milly dropped a mixtape today. “Playing to Win” has features by André and the Super-Producer, Steve Woodz. As well as production by Swiff D, Chase N. Cashe, Parris Pierce, LeMieux and others. Shout out to PayUp Game. This entry was posted in Hip-hop, Music and tagged Mouf, PayUp Game. Bookmark the permalink.